So I have been Cinderella crazy the past couple of weeks and even went to the Cinderella Exhibition presented by Swarovski. There may still be tickets available if you have a look on Ticketmaster HERE, but I will also be blogging about it soon :) Anyway I wanted to share some Cinderella inspired outfits. This is actually my first Disney inspired or anything inspired kind of post, so I'm really excited! Of course I would love the gorgeous blue ball gown Lily James wore in the movie, sadly that will never be possible. But as blue is the main colour (and my favourite at the moment) I used that in my outfits. 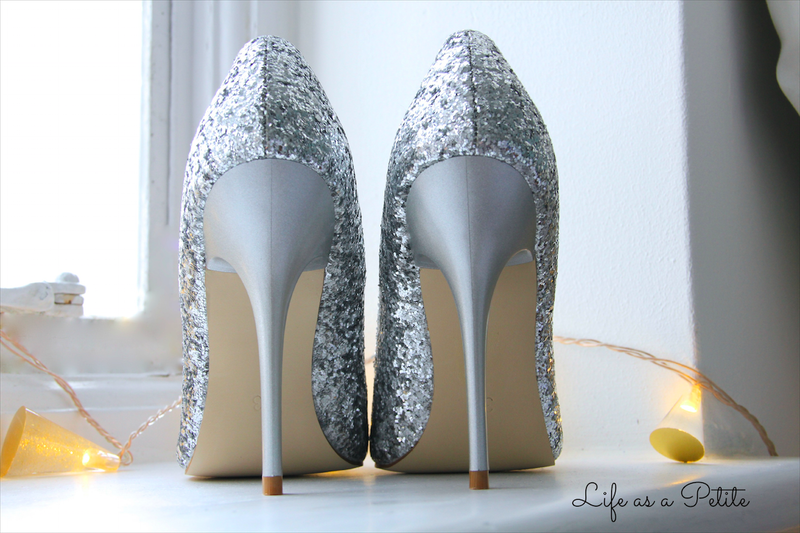 Oh and also those sparkly heels I featured in THIS post. I thought I would share two Disney inspired outfits: one casual/smart casual and a more dressed up one. For the first outfit I wanted to keep it quite simple yet chic, and I find that powder blue or light blue gives that effect without evening doing much. 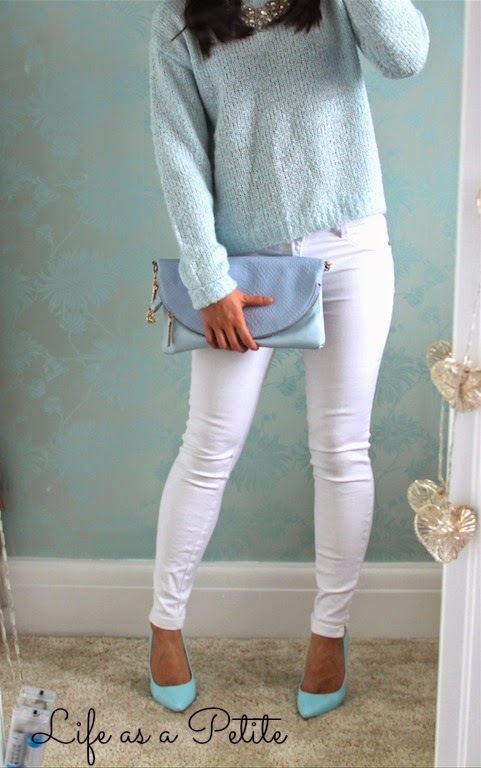 As I wanted to keep the look quite clean and simple, I paired a gorgeous light blue jumper with some New Look white cropped jeans I bought in my latest haul (HERE). With blue being the main colour I paired this outfit with some blue heels and blue clutch which I featured in these posts: Petite in a Maxi? and White and Blue. 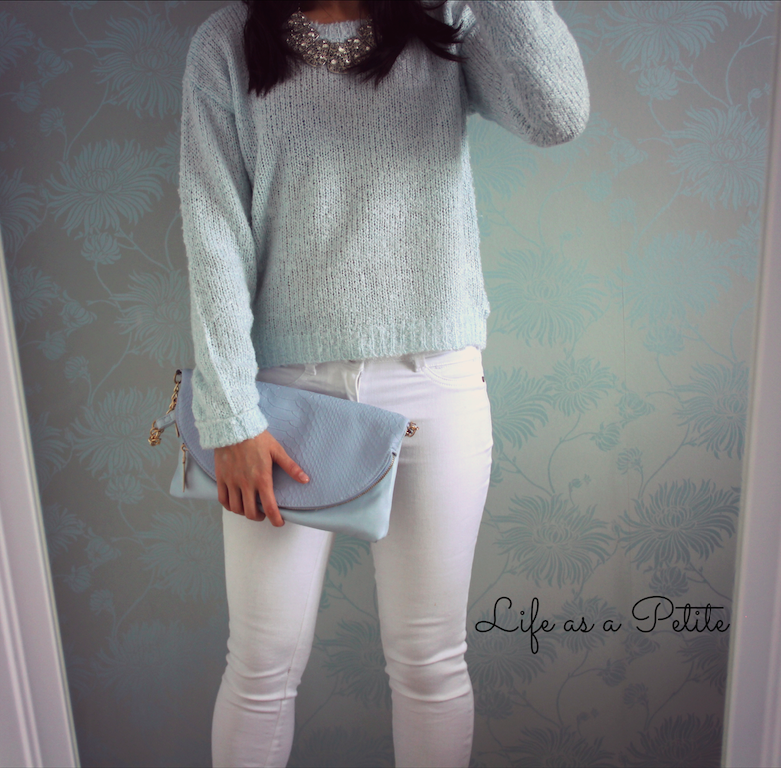 Although blue is more of a wintery colour, the white jeans brings the whole look back into Spring. Also the various shades of blue I have here make the outfit a lot more interesting and less monotonous. I am so in love with this next and final look. 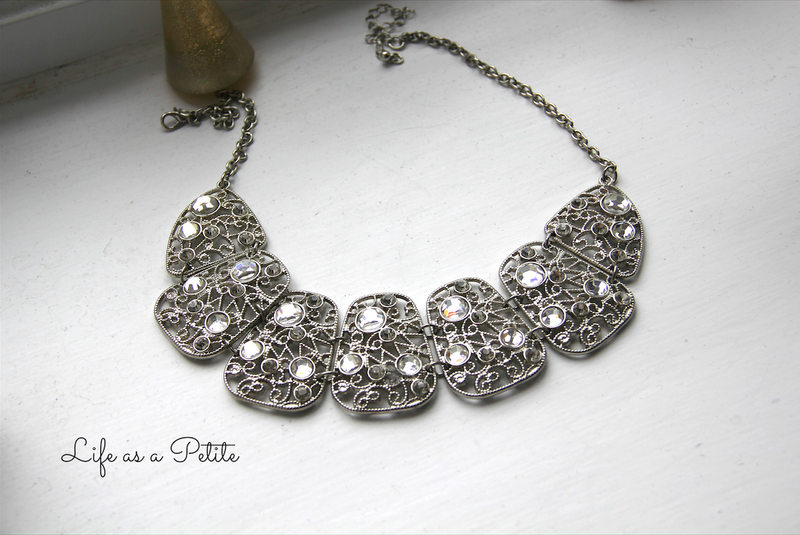 I love both, but this one definitely makes me feel so princess like. Blue and white go so well together so I continued with those two colours in my second outfit. Starting with the top, I took inspiration from the off shoulder style from Lily James' ball gown. I say it's a top but it is actually a dress! Can you tell? :p I folded the dress up so that it wouldn't show at the bottom. I really like bardot styled tops/dresses at the moment and picked this beauty up from Miss Selfridge for £15 down from £35 - bargain! 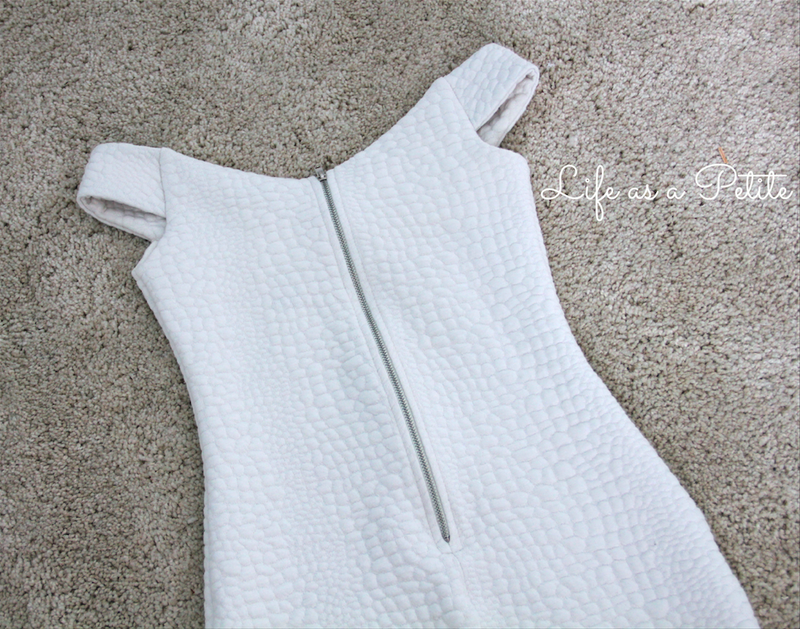 The textured effect on the dress acts as a lovely contrast with the pleated skirt. I hope you enjoyed my first ever Disney inspired outfit post! I guess this could also be a Frozen inspired one as well, but I think you'd probably want a lot more sparkles like Elsa's dress. I had so much fun dressing up and twirling in these outfits :) What would your Disney inspired outfit consist of? I love the colour combinations here. White and pale blue look great together. I really like the casual outfit and I also like the sparkly shoes. Gorgeous outfits! After reading this post, I desperately want white pants. 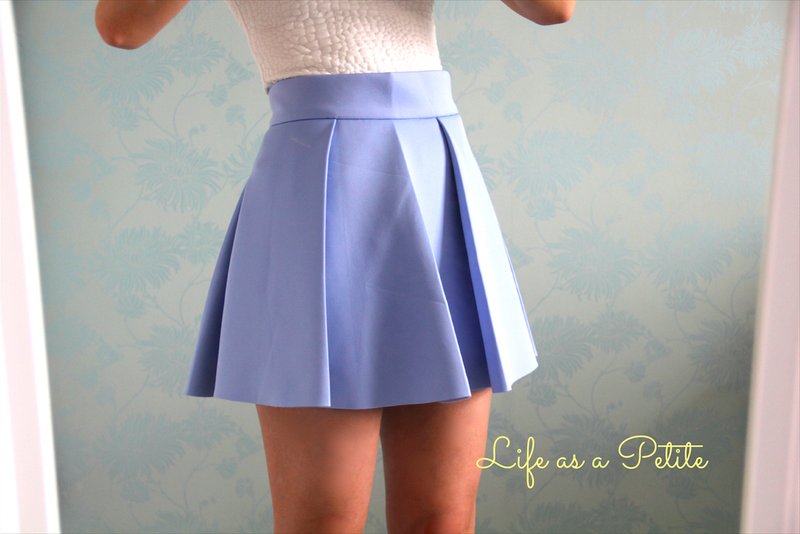 I adore the shade of blue of the skirt and shoes and they outfits look amazing on you! 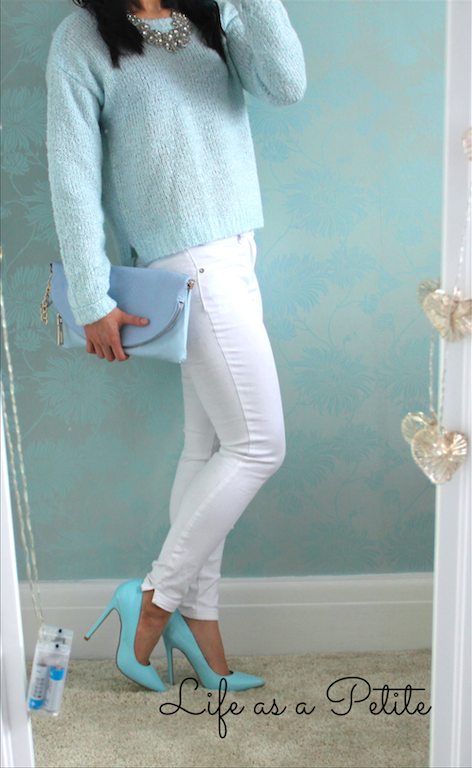 white jeans are so adorable, love the baby blue colour on you ! I love the smart outfit! 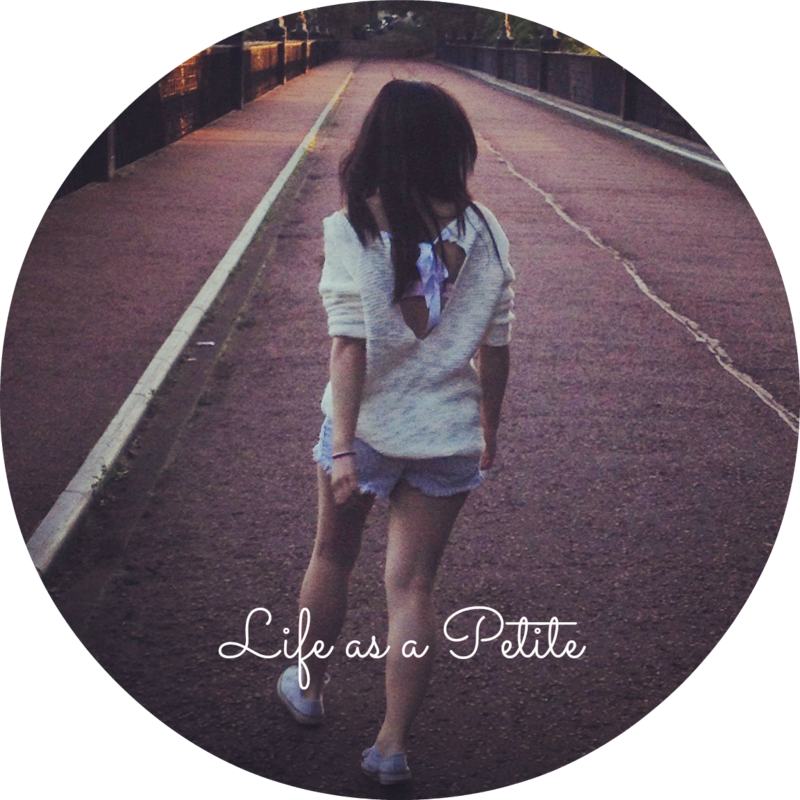 Looks like a modern day Cinderella <3 Just wondering if Sheinside is petite-friendly? I noticed that the smallest size they have is only S and no XS. 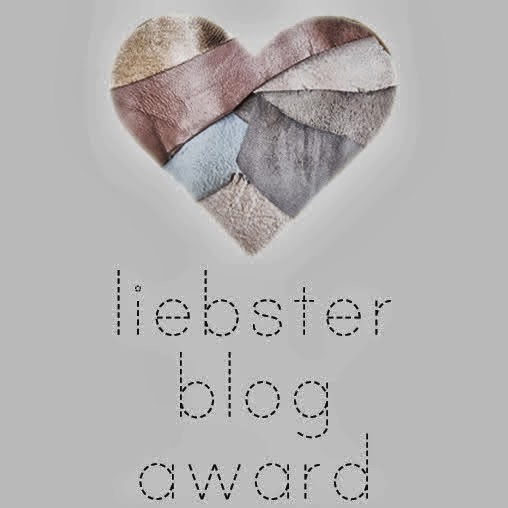 I am totally in love with every single piece of your fabulous outfits! Isabella, that skirt is divine, the color OMG! Thse heels are.................drooling here. Hope you had an amazing Easter weekend, dear. Love the sparkly heels and the blue skater skirt. And i agree, the blue gown in Cinderella is too gorgeous for words. That skirt is seriously to die for... I need it. Awww! These outfits are so cute! I absolutely love the blue skirt... very cinderella! 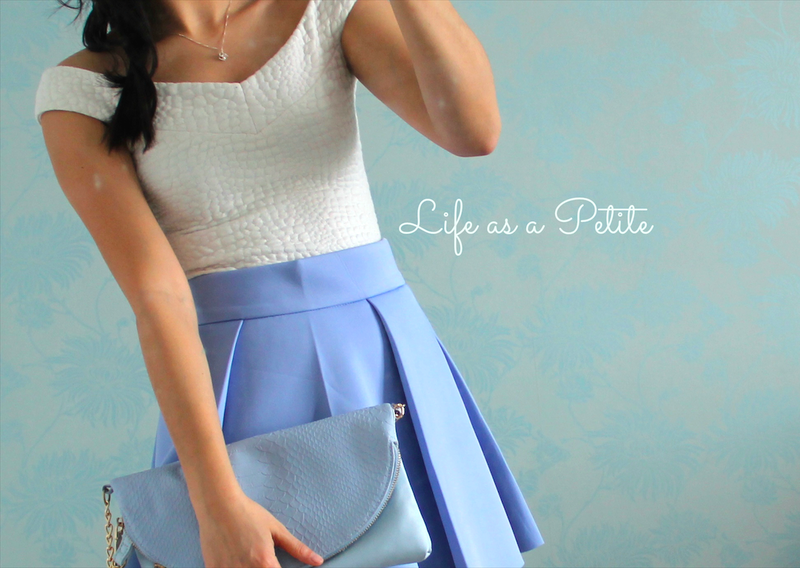 I love the mix of pale blue and white and the skirt really does look Cinderella-ish. love both the outfits... I absolutely love Missguided heels! I like the dress/skirt outfit! very pretty and sweet! genius thinking on folding the dress up to wear it as a top! I love the shoes! Cinderella was such a brilliant film. You look amazingl, like always. 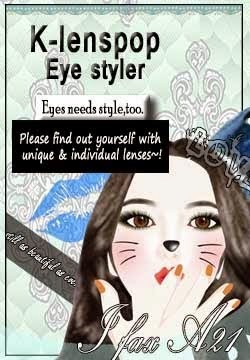 I really like your style. 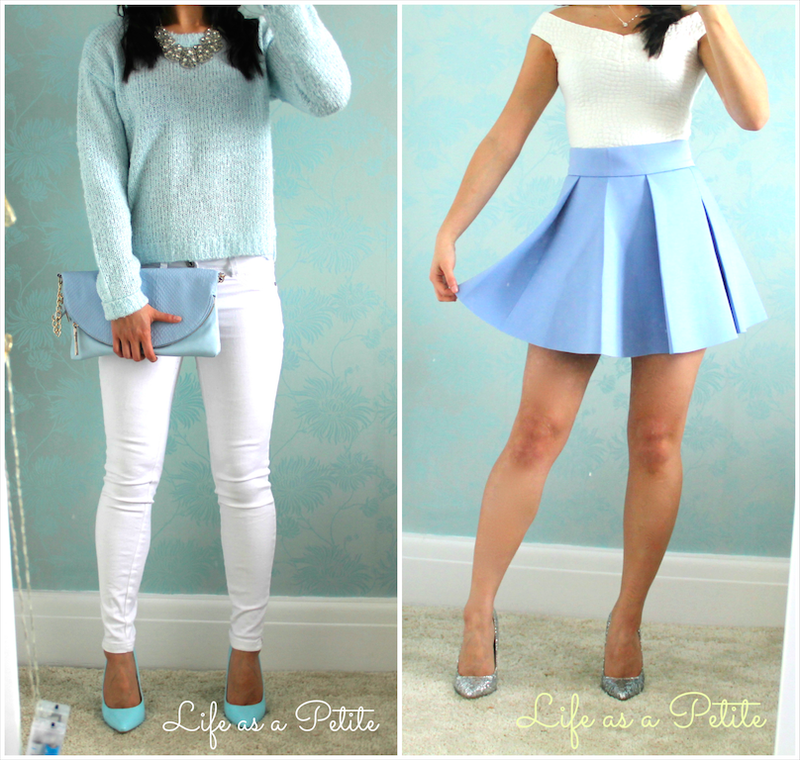 I want the blue skirt and white top. The colours go well together. 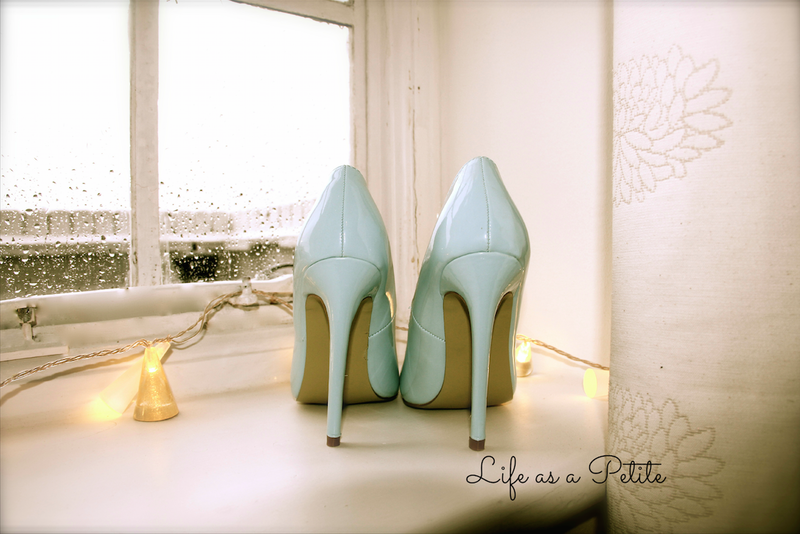 that heel is jus so beautiful! !and I love this cindrella blue so much!i have tones of this colour! Love the way you've put both the looks together. Never knew blue can look so beautiful as well.